I coach individuals who are working toward personal growth & having healthier relationships. I also coach couples who are looking to improve intimacy, communication, & happiness in their relationship. Hi Dr Shelley, I would like to speak with you briefly to see if you're a good fit to coach me. Please contact me at your earliest convenience. Dr. Shelley Sommerfeldt is the founder of the Loving Roots Project, an online coaching practice providing nationwide telehealth services. Dr. Shelley is a Clinical Psychologist and Relationship Expert. She's also a wife, mother, military spouse, entrepreneur, hiker, gardener, animal lover and an avid dreamer who’s dedicated to helping others achieve the happiness they deserve. She earned a Doctorate degree as well as a Master’s degree in Clinical Psychology from Alliant International University in California. She also earned a Master’s degree in Family Psychology from Hardin Simmons University in Texas. Dr. Shelley has worked in a variety of mental health settings including a domestic violence shelter, geriatric treatment facility, correctional facility, psychiatric hospital, substance abuse treatment facility and various counseling centers, including community mental health centers and private practice. Dr. Shelley was the owner and director of Beach Cities Psychological Services in Hermosa Beach, CA. 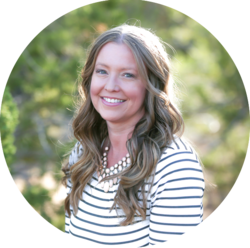 During her time running a small group practice, Dr. Shelley developed a passion for working with couples and helping individuals with relationship related issues as well as helping to empower people toward their own personal growth and development. Have you worked with Dr Shelley? Tell your friends! Dr Shelley doesn't have any reviews yet. Here is a blog on 10 helpful tips to keeping good balance, communication, priority and intimacy in your relationship. Maintaining a healthy balance in relationships is key. Increasing self-esteem can be a very challenging task, but self-love and feeling confident plays an important role in our overall happiness.